“At Oxford, Magee had mixed with poets as well as politicians and in 1951 published a volume of verse through the Fortune Press. The publisher did not pay its writers and expected them to buy a certain number of copies themselves – a similar deal had been struck with such writers as Dylan Thomas and Philip Larkin for their first anthologies. The slim volume was dedicated to the memory of Richard Wagner, with a quote from Rilke's Duino Elegies: ... ‘das Schöne ist nichts als des Schrecklichen Anfang, den wir noch grade ertragen’ (... beauty is nothing but the beginning of terror, that we are still able to bear). 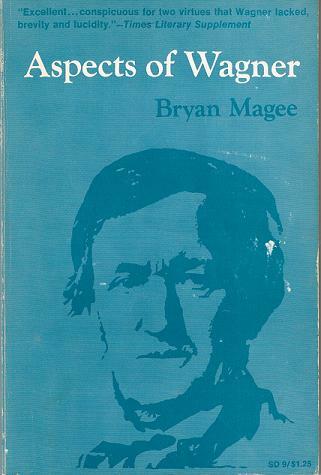 In 1997 Magee's CONFESSIONS OF A PHILOSOPHER was published, which essentially offered an introduction to philosophy in autobiographical form. 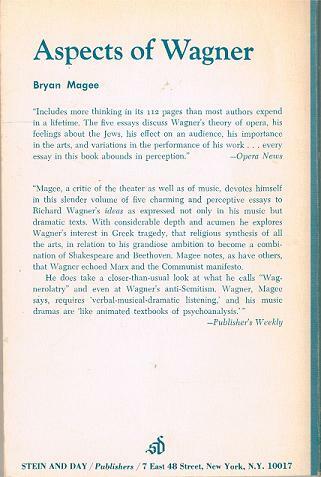 The book was involved in a libel lawsuit as a result of Magee repeating the rumour that Ralph Schoenman, a controversial associate of Bertrand Russell during the philosopher's final decade, had been planted by the CIA in an effort to discredit Russell. Schoenman successfully sued Magee for libel in the UK, with the result that the first printing of the British edition of the book was pulped. A second defamation suit, filed in California against Random House, was settled in 2001. The allegations were expunged by settlement, and a new edition was issued and provided to more than 700 academic and public libraries. In CONFESSIONS OF A PHILOSOPHER, Magee charts his own philosophical development in an autobiographical context. He also emphasizes the importance of Schopenhauer's philosophy as a serious attempt to solve philosophical problems. In addition to this, he launches a critique of analytic philosophy, particularly in its linguistic form over three chapters, contesting its fundamental principles and lamenting its influence.